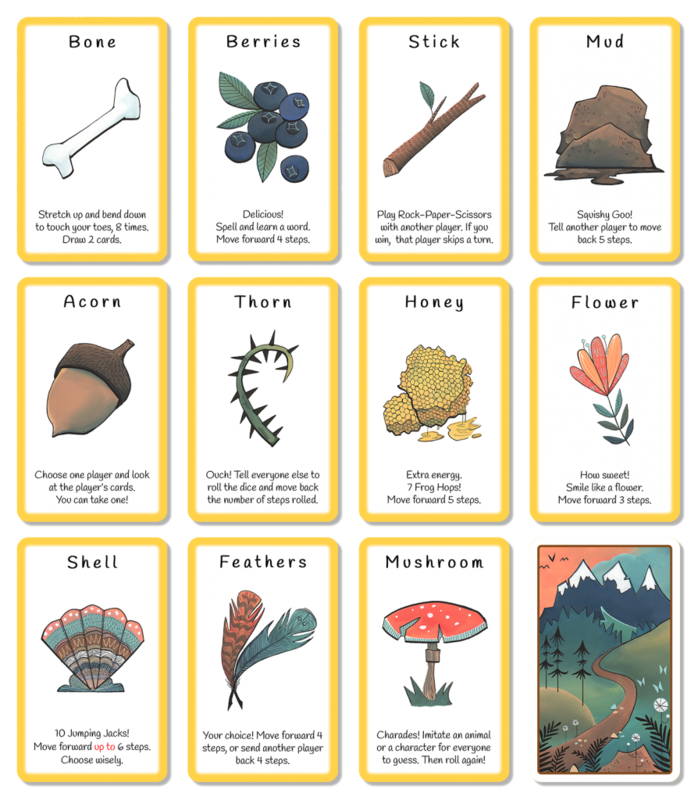 There are 36 resource cards in 12 kinds. Each player starts with 3 resource cards. Along the travel, they can collect more. Used wisely, the resource cards can help the puppies get home sooner. For our young testers, the interactive activities on these cards were the favorite part of the game.